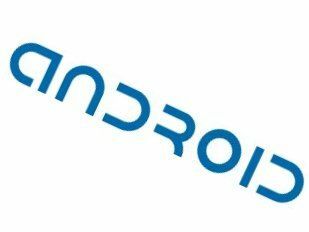 INQ, the maker of the popular low cost smartphones, has announced plans to move to the Android OS in the next year. CEO Frank Meehan took the stage at the GigaOm Mobilize conference to confirm such a phone is coming. "We came to the conclusion that aside from licensing Palm [WebOS], which is a fairly difficult thing to do, Android was really most suited for our plans with touch-screen devices," he said, according to PC Magazine. INQ has created its own OS for the INQ1 'Facebook phone' and the 'Twitterphones', the Mini 3G and Chat 3G. But Meehan confirmed INQ has looked at other OS's, such as Windows Mobile and Palm's webOS, but decided they were simply too complex to put on the company's phones. However the firm decided Android is the best option, as it offers such a large level of customisation, meaning INQ can easily put its own skin on top. Meehan promised to 'shake up the contact list' on the Android interface, as the Hutchinson-owned manufacturer wants to continue its tight Facebook integration for the phonebook. The CEO also promised that the new skin will have to re-imagine the market store, as "Google has to improve it, or if they don't, someone's got to improve it for them." The new phone looks likely to land in 2010, meaning a good run for the Twitterphones in the next few months. And with the Spotify application likely well established on Android by then, it's pretty likely we'll see the 'Spotify phone' from INQ as well.